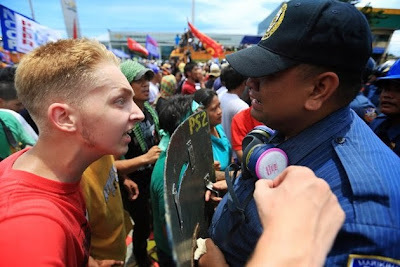 Thomas van Beersum, the 20-year old Dutch citizen who joined a rally in protest of the President’s State of the Nation Address (SONA), has been officially deported from the country and will not be allowed to return. According to the Bureau of Immigration, Beersum is on the bureau’s blacklist for visa violations. Beersum, who was in the country to attend the International Conference on Human Rights and Peace, recently made headlines when he was photographed in an intense moment with a cop during the SONA rally. Reportedly, Beersum demanded that the cop explain why they were hurting the people. "Why are you doing this to us? Why are you hurting us," he said. 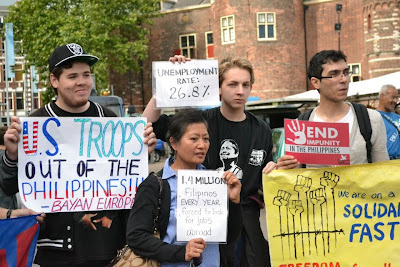 Beersum, whose fiance is Filipino, is a youth activist that has been a part of political activities and rallies on behalf of Filipinos, in both the Netherlands and the Philippines. 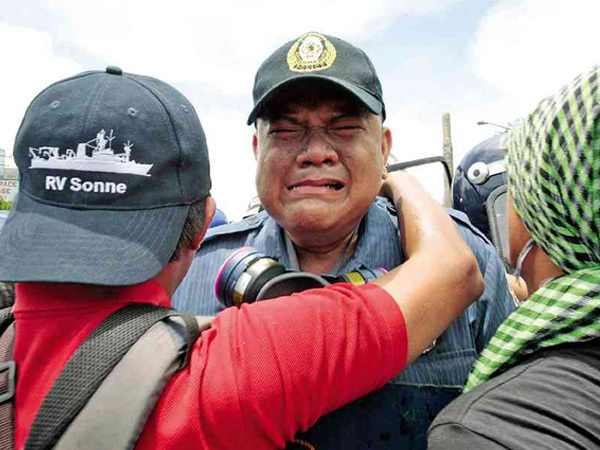 Photos and videos of his most recent encounter at the SONA rally have gone viral on Facebook and Twitter.